How do I change my email address / account username? Whatever the reason - name (and therefore email) change, institution changed email address format, institution changed names, etc. 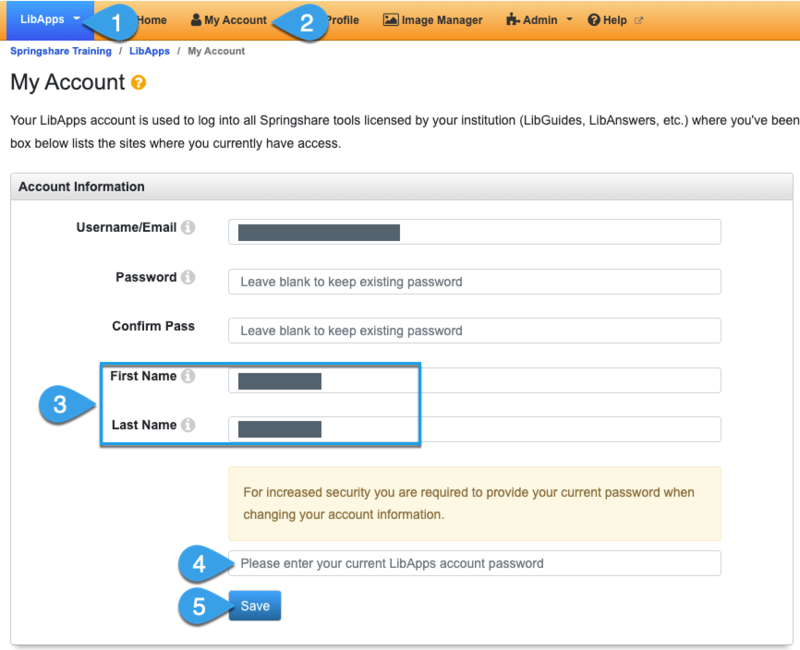 - you can easily change the email address you use to log in to your Springshare apps! P.S. If your email was misspelled when the account was created, you can always ask your LibApps Admin to fix it on your behalf! They can do so by going to LibApps > Admin > Manage Accounts > edit icon for your account. Click your email address in the top right corner of the screen, which will bring you to LibApps. Click My Account in the orange command bar, if you weren't brought there directly. Update the Username / Email field with your new/corrected email address. Add your current password into the last text box. If you add it into the Password field, you're telling the system you want to change your password. Adding it to the last box is a security measure which authorizes changes to your account.